Press Release (ePRNews.com) - KYIV, Ukraine - Dec 28, 2018 - Undelete news has officially gone out of beta after successfully implementing news and media source tracking for the first 12 countries. Ever see a news piece that was hastily published and then just as hastily deleted after proven to be fake? Or an arrogant tweet that suddenly disappeared to save its author’s reputation? 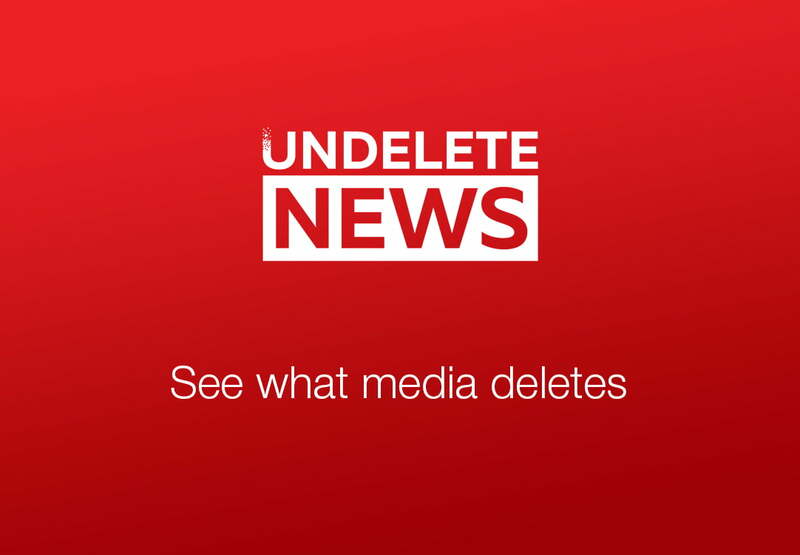 Undelete.news aims to stop this by keeping all deleted information safe and visible. It will track every top website and social media account, so if a post suddenly disappears, it will be immediately published on Undelete news website in the “Deleted” section with source indication. Now the Internet will truly remember everything. Besides tracking top accounts and media resources added by others, Undelete news allows every user to track any news website or social media account (Twitter, Facebook, Instagram), even if it is not on the website. This service is completely free of charge and available to all registered users. Undelete has news pieces and posts distributed by categories and stores both posted and deleted data. Users can select individual news site or celebrity to see everything they have deleted and set up their own feed that contains only sources they deem interesting. The site supports twelve countries so far, but it aims to cover every region and language. If you want to check them out or to add someone you want to track specifically, visit their website at https://undelete.news.